On September 21, our VIP sale at Lip Service (one of the most popular literary events in Miami) was paramount! All That Glitters was officially released online on October 1st (along with Issue 7 of Sliver of Stone Magazine). On October 12, we had an awesome, mellow reading at Books & Books, in Coral Gables. On November 24, at 5 o’clock, we’ll be at the Miami Book Fair International for a reading followed by a Q&A with the prose editors (Room 8301, in Building 8, 3rd Floor). Russell Reece’s story, “Come On, Harold,” is one of the gems in All That Glitters. Russell lives in Delaware along the Nanticoke River. He has had stories and essays published in Memoir(and), Raving Dove, The Delmarva Quarterly, Delaware Beach Life and Beginnings magazines. He is a University of Delaware graduate and a board member of The Delaware Literary Connection. When he isn’t fishing or bragging about his granddaughter, Russ is working through the second revision of a novella, Lenny’s Farm, set in rural Delaware in the 1950’s. MJ: In your own words: Who’s Russel Reece? 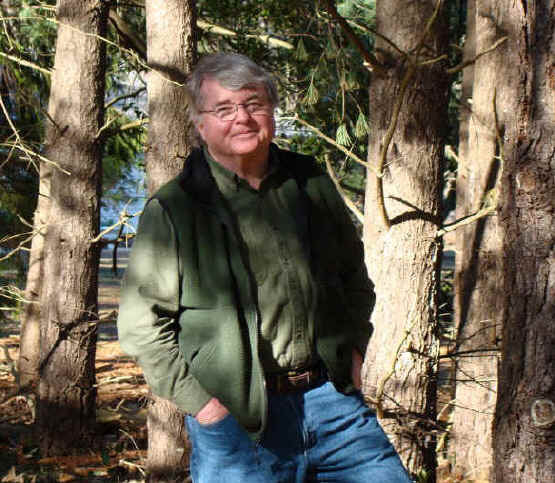 RR: Russell Reece is a retired corporate executive who has always loved literature and longed to be a writer. He is doing his best to make up for lost time. MJ: Your story, “Come On, Harold,” fits the definition of a flash (non)fiction piece. Do you usually favor brevity? RR: I don’t often write flash (non)fiction and didn’t set out to do that when I wrote “Come On, Harold.” It was an incident that had a profound impact on me at the time and I wanted to do my best to get it down on paper. After 725 words I thought I had done that. MJ: Tell us a little bit about your writing process. RR: I work on my writing for three or four hours every day, usually in the morning. This time includes new work, editing old stuff or sending work out. My work, fiction or nonfiction, is usually driven by some incident from my past. I am also fascinated by the natural world and emotions inspired by unusual places. MJ: You’re a board member of the Delaware Literary Connection. What is the mission of this organization? RR: The Delaware Literary Connection is a small organization in Delaware that champions the literary arts through readings, contests, workshops and an annual event in a historic tavern that celebrates a great American writer. We have honored Walt Whitman, Kerouac and the Beats, Edgar Allen Poe, Emily Dickinson and Charles Bukowski. This year we will celebrate Mark Twain. RR: I am finishing up a set of three stories I have titled, “The Mud Lake Trilogy.” This is a noir piece and the first story “The Hitchhiker” was published last year by Crimespree Magazine. I am also working on a series of fictional stories inspired by incidents that occurred when I was a 19 year old sailor on liberty in Tijuana.